On Tuesday, a grisly tragedy took place at a Disney World resort in Florida, and it's captured a lot of public attention. A two-year-old boy was unexpectedly seized by an alligator while wading in the Grand Floridian Hotel's Seven Seas Lagoon, and his body was found by authorities the next day. It's a horrifying situation, and it raises the question of just how common alligator attacks are in Florida. There are some numbers available ― as Mary Bowerman, Rick Jervis, and Brian Broom detailed for USA Today, these kinds of incidents are definitely not unheard of, but they're relatively rare. 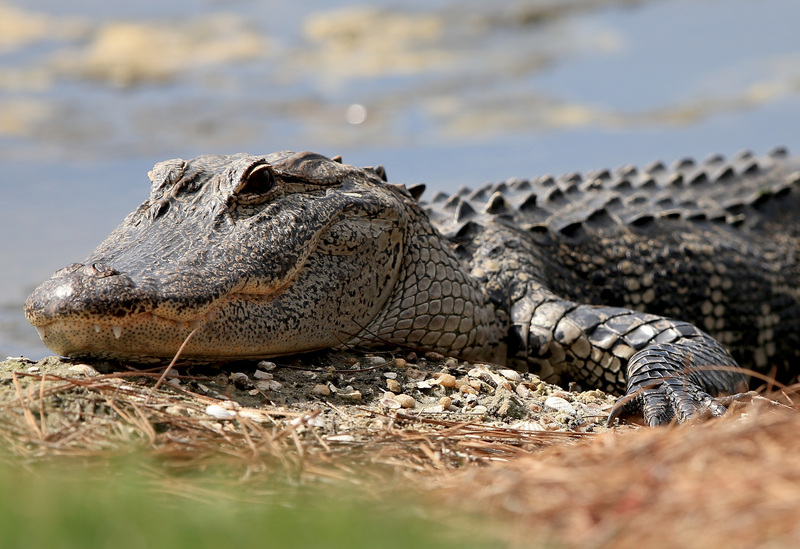 State records show that the worst years for fatal alligator attacks were 2001 and 2006, but in those years, three people died because of such an attack. From 2007 to 2015, there have been a total of 84 recorded alligator attacks, although only two such incidents proved fatal. That's not including 2016 and this recent tragic encounter, however. Even including Tuesday's awful incident, however, this recent period reveals a lower number of fatalities per attack than one might assume. In fact, the 2015 death of James Okkerse, who was swimming in Blue Spring State Park, broke the longest stretch without an alligator-related fatality the state had ever seen. Don't ever feed alligators, both because it might place you in perilous proximity to one and because it helps them lose their fear of humans. If an alligator comes to associate humans with receiving food and it becomes more brazenly willing to approach them, that could potentially be a very bad situation. Throw away fish scraps or bait in garbage cans, rather than dumping it into any surrounding water. Disposing of such things in the water can attract alligators. Don't go swimming at night, because that's when alligators are most active. Always be aware and attentive about alligators whenever you're swimming in or lounging around fresh or brackish water. They also advise that you seek immediate medical attention if you're ever bitten by an alligator, due to the potential for infection. It's fortunate that alligator attacks are so rarely fatal, in other words, but if you're ever bitten by one, it's a situation you should try to resolve immediately.